Open since 1973, La Casa Garcia is known for their margaritas, burritos, menudo, and enchiladas. 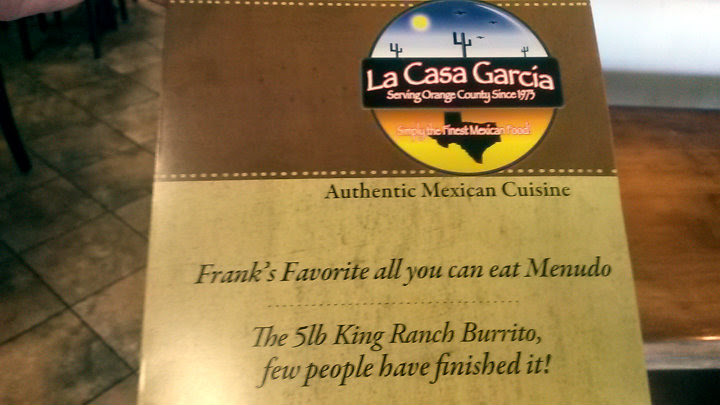 It is also home to the 5-pound King Ranch Burrito challenge. 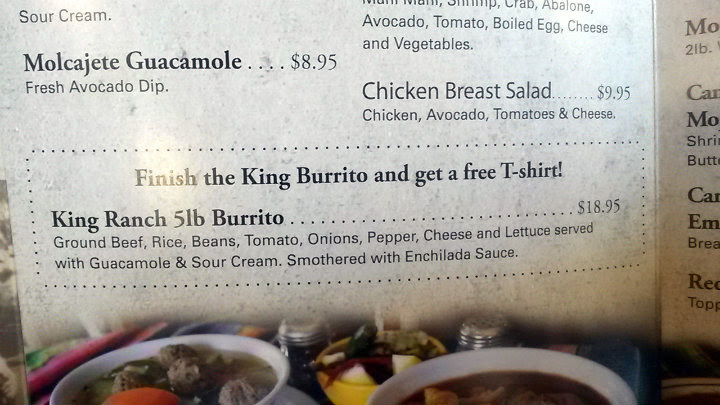 There's no time limit for the King Ranch Burrito, and if you finish it yourself, you'll get a free T-shirt. That includes eating all the sour cream and guacamole on the plate. Even the panda knows that there's no way a 5-pound burrito can fit in his stomach. 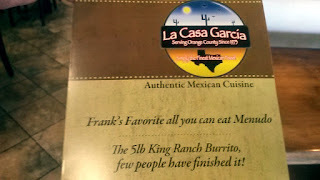 So he shared one of the King Ranch burritos with television personality and motivational speaker Gail Kasper. While I'm not the greatest at figuring out how heavy this burrito really was, it sure as heck felt heavier than five pounds. 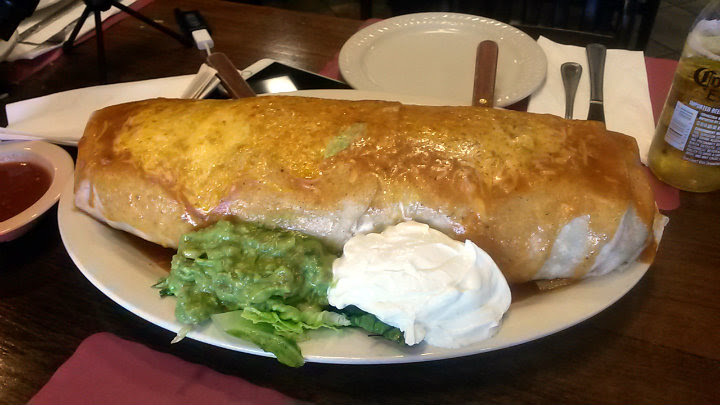 Lots of beans and rice inside the burrito, with ground beef, shredded cheese, lettuce, onions, and tomatoes. It was not a well-thought-out plan for the panda, who had just enjoyed In-N-Out Burger just a few hours before. Cue medicine ball in stomach. 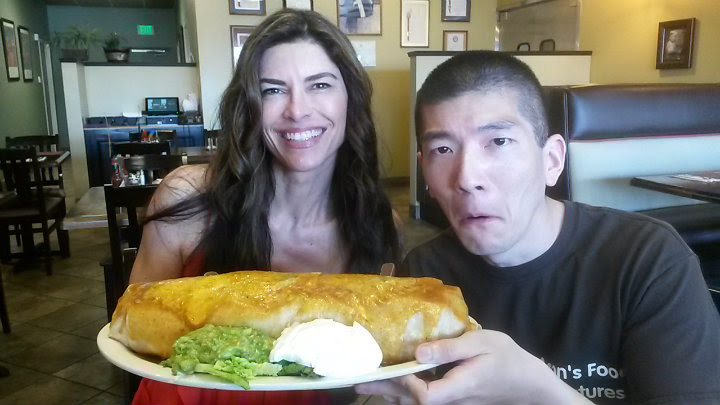 Did Gail and I take down the burrito? Check out the video! At $18.95, it's worth getting, if even to split with friends and family. 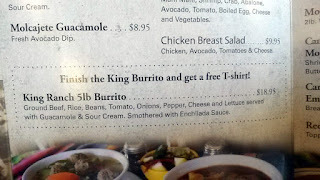 You're paying for the burrito anyway, so you might as well enjoy it with others. But if you want a free shirt, give the challenge a shot. It's considered an easy challenge for competitive eaters. 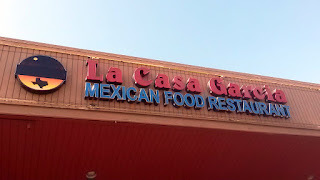 La Casa Garcia is not far from the Anaheim Convention Center and Disneyland. With the abundance of food and drink spots in the area, we had most of the place to ourselves when there.